The Giardino Vineyard, purchased in 1920, is a south-facing natural amphitheatre-shaped vineyard. Probably the first example of a Prosecco from single vineyard in the whole DOC zone, it was presented at the 1st Mostra dei Vini Tipici d’Italia, held in Siena from 3 to 19 August 1933, as “Riva Giardino Asciutto”. 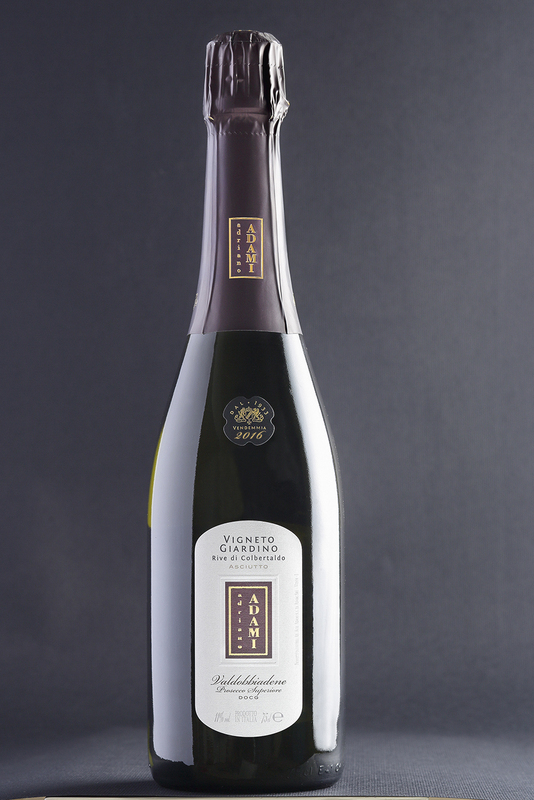 The Giardino Vineyard best expresses the concept that at Adami we like to call “fruit salad”: the complex but approachable and never repetitive sensation on the nose of a crateful of fresh fruit.